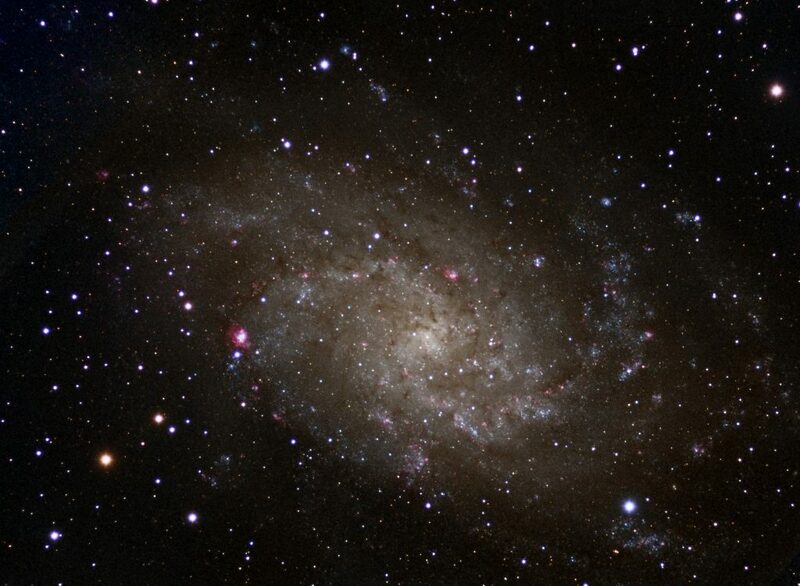 Messier 33, the Triangulum Galaxy, is a spiral galaxy so named after the constellation in which it appears. At around 3 million light years from the Milky Way, it is a relatively close galaxy to us. 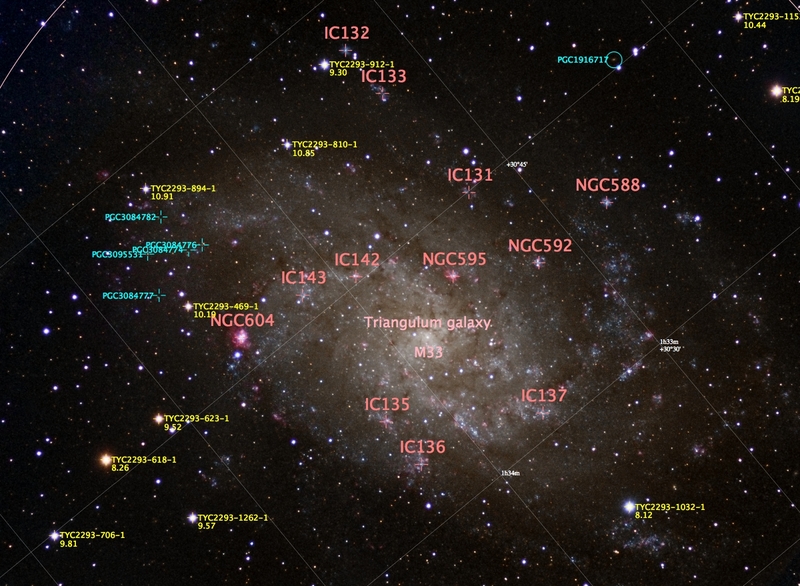 It is the smallest spiral galaxy in the Local Group, which includes both the Milky Way and Andromeda in addition to numerous other smaller galaxies.